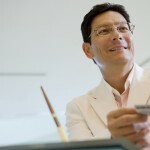 Using credit cards to rebuild credit is a good idea, but exercise caution. 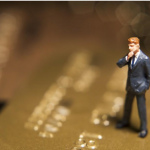 One factor that impacts a credit score is something called the “debt to credit ratio,” and banks believe that this number indicates whether a person is responsible with their credit cards or whether he or she spends too much. Essentially, this ratio is a number describing how much total revolving credit a person has against the percentage of credit currently borrowed upon those cards. For example, a person who has a credit card with a $10,000 limit and who has a balance of $1,000 on the card is using 10 percent of their available credit. This means that a healthy 90 percent of their revolving credit potential is unspent. The healthiest credit scores will always result from a person carrying balances that are as low as possible on their cards. A credit report will also showcase the debt to credit ratio on a per-card basis as well as providing an overall ratio for credit available. Likewise, the credit score algorithm is also based separately on the general debt to credit ratio, and on individual card debt to credit ratio. In addition, the only cards on a person’s credit report that are used for this number are cards that are active and available for use. Closed cards or cards that have never been used aren’t considered when calculating the debt to credit ratio. 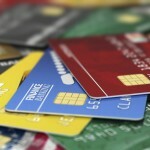 So when using credit cards to rebuild credit you may need to keep open cards, even if you aren’t using them. There are some conflicting reports on what debt to credit ratio constitutes a good ratio for applying for new cards, but many bankers and financial analysts suggest that having balances that are as low as possible is best. 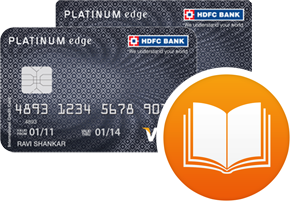 So yes, you need credit cards to rebuild credit but you don’t want to use them excessively. 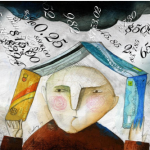 In addition, most advice suggests that a credit ratio should never go any higher than 30 percent. This means that a person with $10,000 in credit would not want to have a revolving balance that exceeded $3,000 a month. 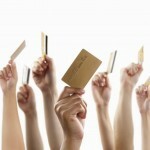 If you were denied for a credit card bankruptcy may not be the only reason. 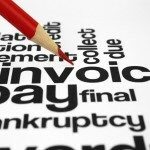 You can pay on time and be responsible, but if that debt to credit ratio is too high – DENIED. Paying down credit card balances is always a good idea, and before applying for a new card it’s a good idea for a credit report to appear as encouraging as possible with a low debt to credit ratio. This low number will showcase a responsible borrower who pays credit card debt each month on time, and keeps low balances on his cards. Always remember that whenever a person decides to apply for a credit card, the bank will check on a lot of items related to the person’s creditworthiness and whether granting a card is going to be a good financial decision. 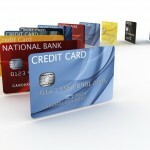 Everyone has a credit score, and it is this score that will help the bank make their decision.